I know we are all being pummeled with deals and door busters for tomorrow, but I'm not too interested in starting my shopping at 12am, so below are a few of my favorite deals for tomorrow that will be worth a trip out or a click online... But only after a leisurely breakfast with friends! Also important to mention... She is having a SAMPLE SALE in her LA Boutique tomorrow and Saturday. 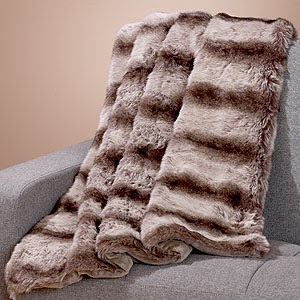 Cost Plus World Market is having an amazing sale on these must-have faux fur throws - 50% off takes them to $29.99 - Unbeatable and such a fantastic look for your holiday decor. Love Sephora for their great Holiday Gift Sets... I see 4 little gifts in this perfect set for friends at the office - Break them up into pairs and viola... 4 fun gifts! Another favorite of mine is Victoria Secrets traditional satin pajamas and they are on clearance for $39.99 + free shipping! 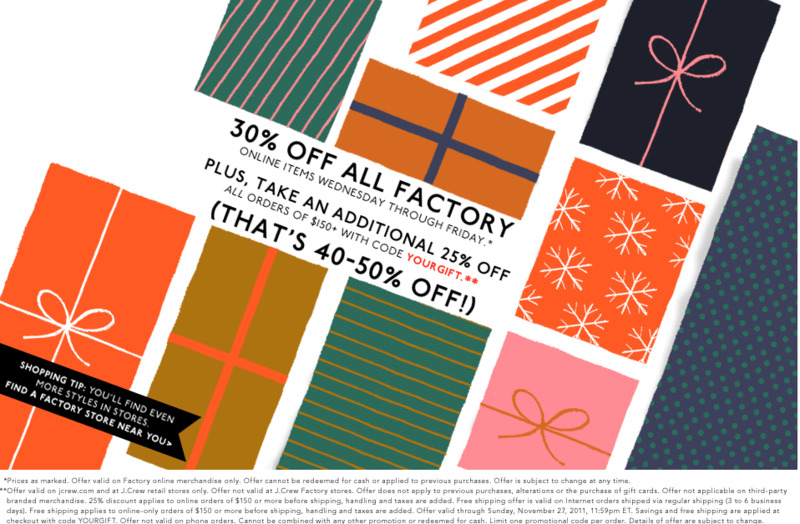 J Crew Factory store... Order great pieces online... Many super great markdowns to give the look of timeless style! Macy's has absolutely gone mad with deals for tomorrow through the weekend and if you are a cardholder you have received a ton of extra savings coupons in the mail as well. I have my eye on these Lucky Brand wedge booties. Super saver sale and who knows how much more in savings once I fan out my savings coupons.